There’s no doubt about it: the future of cryptocurrency is most certainly in flux. After Bitcoin’s meteoric rise and catastrophic bubble burst in 2017 and early 2018 – an event that had major repercussions across the cryptosphere – investors and enthusiasts alike are keen to map out what’s next for the digital asset technology. If past is prologue, the history of cryptocurrency is certainly setting the stage for some interesting times indeed. The story thus far has been characterized by periods of rampant growth and high volatility; 2017 has gone on record of being one of the biggest and also one of the most catastrophic years for cryptocurrency investors, thanks to the rampant growth in valuation that Bitcoin, crypto’s undeniable blue chip token, underwent. From its valuation of just around $1000 USD in January of 2017 to an all-time high recorded at approximately $19,000 in December, Bitcoin has seen an undeniable amount of growth. Even when taking the immediate “bubble” that saw BTC tumble from its high, ending the year at around $16,000 and continuing to slide to lows of $8,000 throughout the first several weeks of 2018, year-on-year growth has still been far and away miraculous. This means that 2017 has left Bitcoin investors, depending on their timing, either highly successful or in a panic. There’s no denying that the gap between mid-December 2017’s $19,000 USD per coin valuation and the doldrums of early February’s $7,000 to $8,000 USD per coin is huge; anyone who invested in BTC during the late fall rally are certainly feeling the heat right now. Yet long-term investors who had been holding the currency from 2016 or earlier are certainly whistling Dixie – the investment of a single BTC in January of 2017 still represented an eightfold ROI by February of 2018. In other words, when viewed through the lens of long-term growth, the “fall” of Bitcoin is still yet to happen. A currency that was once used to buy two pizzas for about 10,000 BTC in 2010 but s still worth upwards of $7,000 USD per coin today is hardly in decline. Humpty Dumpty is almost certainly able to be reconstructed in this case, despite the rarefied heights that he’s tumbled from; in this case, the landing was feather-soft. This is not to say that there aren’t some very serious issues affecting blockchain and cryptocurrency going into 2018 that still need to be resolved. In fact, many of the problems that emerged from Bitcoin’s rampant growth at the end of 2017 are going to need to be addressed going forward if the industry as a whole wants to continue to exhibit steady growth. Ironically, the issues that plagued Bitcoin were a direct result of its surging popularity. Scalability issues plagued the Bitcoin blockchain, causing massive bottlenecks, queueing the mempool with incomplete transactions that took hours or even days to clear. At one point, there were as many as 220,000 transactions waiting in line on or around December 8, 2017, causing consternation and distress among cryptocurrency holders. The growing number of users on the blockchain did more than slow down overall transaction rates, however. The phenomenon had secondary effect, one that may be indicative of something even more of a problem than having to wait in line: increasing transaction fees. Built-in mechanisms to ease traffic congestion on the Bitcoin blockchain provide avenues for individuals who want to prioritize their transactions by encouraging them to pay higher fees for faster service, but the demand for this service grew so high that just a few days after that major bottleneck the average transaction fee was fluctuating at between $20 and $26. These two issues are obviously interconnected, and with the lion’s share of cryptocurrencies instituting blockchain coding that is similar to or inspired by Bitcoin, the twin evils of long queues and skyrocketing fees are only going to become more entrenched over time unless developers can design new and innovative ways to enable blockchains to scale with demand more easily. Unfortunately there are only so many ways these issues can be addressed within an existing blockchain. Transaction speed limits are often set by programming that controls the maximum size of transaction blocks – Bitcoin’s limit is set at 1 megabyte per block, for example. Consensus efforts to agree to increase the Bitcoin block size have been unsuccessful in the past, but even if successful, these initiatives would have been a temporary fix to a constantly increasing problem. The key to solving scalability problems that would otherwise slow down blockchain growth and limit wider adoption – things that played a role in Bitcoin’s bursting bubble in December of 2017 – may rely on off-chain solutions. If blockchain technology is going to continue to flourish into 2018 and beyond – if it’s ever to become something other than a niche industry severely constrained by the limitations of its programming – these scalability problems will have to be resolved. With on-chain solutions unwieldy, difficult to implement, and inefficient as long-term answers to the challenges of scalability, the best bet for blockchains to not just survive but to thrive is through off-chain overlays. These off-chain solutions can, theoretically, reduce the pressure placed on blockchain ledgers as the number of individuals using a specific platform grows towards the cryptocurrency’s transaction limit, working as a relief valve to prevent the types of overpressure that lead to high transaction fees and inordinate wait times. The leading solution right now – and the one designed specifically to minimize the scalability problem of industry leader Bitcoin – is undoubtedly The Lightning Network. 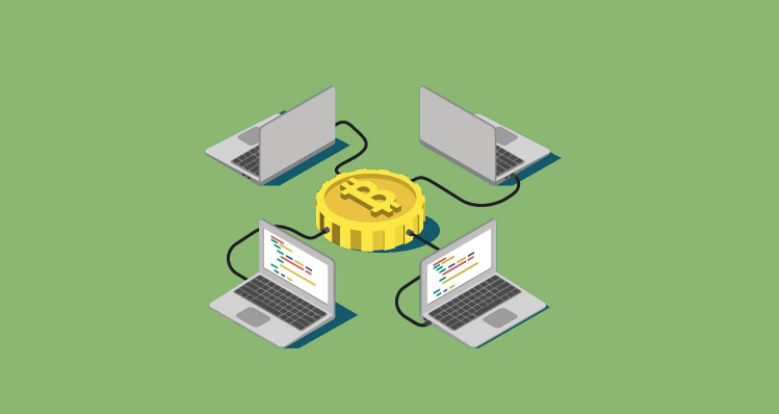 In development since 2015, this scalability solution works by facilitating multiple transactions between two parties off the Bitcoin blockchain in a private transaction channel and then reconciling them in a single batch. Theoretically, the benefits are clear: instead of having to record a dozen or more transactions, the blockchain records just one, based on the transaction data sent to it by the overlay network. On a basic level, this process links just two individuals together – useful but hardly a large-scale solution. However, The LIghtning Network allows transactions to be routed through innumerable off-chain nodes so that someone can send or receive money to anyone else in the network without having to open a direct channel between them. Using the network in this manner does incur a transaction fee, but The Lightning Network has reported that, once the system is running, these transaction fees will be minuscule – and certainly less than you would be charged for a transaction on a bloated and queued blockchain by itself. While The Lightning Network certainly has the most potential to make a discernible difference in regards to the cryptocurrency scalability problem, the timeline for this solution to be a viable one is uncertain. Even after alpha version was released in January 10 2018 for public testing, the day the network comes online as a large-scale piece of problem solving software is unknown. Still, work will be going forward on this project – and many others – as the year progresses; with enough time and energy dedicated to the scalability problem, a working solution may indeed be in place by the end of 2018. This could certainly prevent, or at least postpone, a repeat of the previous year’s bubble burst. As the year goes on, cryptocurrency trading will only become easier and more mainstream. Even with the 2017 bubble burst shaking the foundations of those not made of sterner stuff, the historic performance of Bitcoin alone still makes it an outstanding long-term investment for forward-thinking investors. Implemented scalability solutions could easily trigger another wave of high interest as people who would have never considered cryptocurrency involvement suddenly reconsider. This renewed interest can and should be categorized as a positive mark overall for blockchain and cryptocurrency acceptance. New interest invigorates the cryptoshpere, providing opportunities for those in the training and education sector to provide information to new traders who are learning to exchange Bitcoin for the first time ever. Ironically, though, a resurgence in popularity of cryptocurrency may have, an overall deleterious effect in some instances. Under the circumstances of increased interest from those with little to no background in blockchain or crypto, new investors are going to look for shortcuts to help them get started; if poor decisions are made at this point, or if new investors fall victim to predatory behavior, this could lead to widespread distrust. How could such a scenario play out? Consider this: new traders or investors will need to learn to navigate cryptocurrency exchanges in order to buy and sell their digital asset of choice. These exchanges often have a very steep learning curve, which could drive new investors into the hands of automated services such as trading bots. As the number of people using Bitcoin trading robots increases because of an unfamiliarity with manually using crypto exchanges, a higher number of people may also be subject to illegitimate outfits that promise to make their lives easy but are instead thinly veiled Ponzi schemes that are looking to take them for a ride. Indeed, the prevalence of such scheme sites – colloquially known as “Bitcoin doublers” among the scam-busting community – are quite likely to up their recruitment drives thanks to the continuing influx of individuals who are intensely interested in reaping the benefits of Bitcoin but who lack the patience to do their due diligence. Such enthusiastic but ignorant “investors” are the Bitcoin doubler’s bread and butter, as these witless individuals make large “deposits” into these entities for a promised ROI. The conceit is that these outfits take these deposits and play the crypto exchanges on behalf of their investor, but typically nothing of the sort is happening. Instead, the money that a new investor deposits is used to pay the ROI owed to an existing one. The new investor, meanwhile, only gets their “ROI” if enough investors are recruited after them; the pattern repeats until incomes are outstripped by outgoings. The outfit folds and disappears with everyone’s deposits – and with no regulatory bodies in place in the crypto space, duped investors can kiss their money goodbye. However, any possible negatives that emerge as a result of increased stability and growth prospects in the blockchain sector are likely to be severe, especially if steps are taken now to ensure new investors have opportunity to gain access to the tools and the expertise they need to remain safe and successful in this new digital economic landscape. On a “bigger picture” level, there are instead a few things that blockchain and crypto enthusiasts have to look forward to – or fear – going forward. In one case, 2018 is likely to be the year of the hardfork. While Bitcoin began the trend in 2017 with the appearance of both Bitcoin Gold and Bitcoin Cash, there’s nearly a dozen more forks scheduled for 2018. It is, of course, nearly impossible for almost any of these Bitcoin forks to become successful; even if these new forks represent answers to scalability issues, they have a nearly insurmountable task of stopping Bitcoin’s momentum – a momentum so high that even a massive correction of more than $10,000 USD in valuation can’t halt completely. On a blockchain-specific level, the only real challenge that Bitcoin faces is in more versatile blockchains that are designed to do more than to just process transactions. In comparison to a smart contract-based blockchain like Ethereum and its ability to allow developers to create proprietary tokens based on the ECR-20 standard, Bitcoin is a bit of a one-trick pony. Yet this one-trick pony is still the one to beat when it comes to crypto supremacy. The first ever successful blockchain is likely to remain the most well-known and the most successful, even if scalability issues aren’t resolved any time soon. Bitcoin has the confidence of the community behind it, and that’s something that may be impossible to erode.